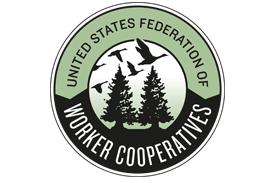 Research|Action is proud to join the U.S. Federation of Worker Cooperatives (USFWC). Founded in 2004, the USFWC is the national grassroots membership organization for worker cooperatives, with a mission to build a thriving cooperative movement of stable, empowering jobs through worker-ownership. The Federation has 200 business and organizational members representing 6,000 workers across the country. More information about USFWC can be found at https://usworker.coop.